Looking for a wholesale bakery supplier? 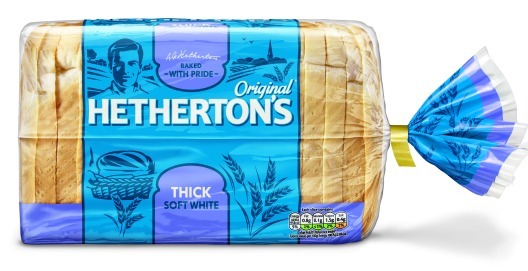 We introduce our brand of bread, called Hethertons-original a bread brand that is not sold in any supermarkets. This bread cannot be price compared and therefore not subject to having to match the supermarkets and Discounters extremely low pricing. It is a quality loaf made with the best ingredients. We all want things as cheap as possible, but at what price to our local businesses? If we stop shopping there we will all be sorry, just look at the high streets now! We give to many charitable organisations by way of products for fund raising. We believe in shopping local to keep our community businesses alive. I live in a small village and use our local shops all the time. I am lucky as they are all well supported and keep the little village busy. Last week we bought from our butchers quality produce from local farmers. Eggs, meat, bacon and other items in there and spent £35. This was approx a couple of pounds dearer than Tesco. The products were better, tasted fresher and keeps our butcher in business, who then employs local people and they in turn support their families and re-invest in the village. Today marks 90 years since the first sliced bread was sold by the Chillicothe Baking Company in Missouri, America. Otto Frederick Rohwedder of Da… Visit http://www.bakeryinfo.co.uk today for more information! Source: What was the best thing before sliced bread? Why are bread prices going up? What a start to the year it has been so far. We had Trump, Brexit , Angus, Barbara ,Conor and now Doris, and if that wasn’t bad enough bread prices are going up very soon. Bread has been too cheap for too long in my opinion, and now because of continued rising costs in the living wage, rates increase , fuel and the deflation of the pound against the dollar and euro. The pound buys you roughly 15% less than before the Brexit referendum, and so a lot of the commodities like on Palm Oil, Softeners & Improvers, Yeast, Soya Flour, Bread Bags and Corrugate, are all costing more to buy. The average price of a loaf in most supermarkets and discounters is £1 , even for the UK No1 brand Warburtons. I suppose that you have to agree that this works out at just 12.5p for 100g of bread, and you cant buy 100g of many foods for 12.5p. Even cat food is more expensive. Felix Pouch With Chicken In Jelly 100g is just £0.40. 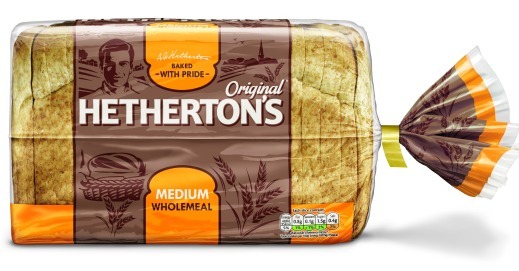 The problem now is the price marked £1 loaf, is that going to disappear from our shelves? as it will not be viable to hold the price. The consumers love to buy price marked products, it’s a proven fact. Maybe we will see the PMP at £1.09, who knows. We as always will try and keep our pricing for PMP (price marked packs) at £1 as it is the only way we can compete in the world of bakery competitively. This is going to be a temporary measure for now to help protect sales and keep consumers. Our other breads have to go up and it is the same for all the brands. Hovis, Kingsmill and Roberts have announced that they are to increase their breads, only Warburtons haven’t yet, but inevitably will follow suit soon. Watch this space. Source: Potato Cakes or Scallops? Big debate going on at work this week as we are about to launch our new Bakestone Potato packaging next week. The question on everyone’s mind is why are they called cakes? You wouldn’t expect that would you, a potato being a cake. Well it was interesting when someone said they had read about a twitter feed from Australia that called them scallops. I always say this is a scallop. and this to me looks nothing like my idea of a potato cake. Everybody has different names for them. Our Scottish friends have them for breakfast and they are called Tattie scones, yet there goes another reference to cake with the word scone in it. So if you fancy the convenience of buying some potato cakes from the shops, or to simply make your own, here is a recipe. Toss the grated potatoes with flour in a large bowl. Stir in mashed potatoes until combined. In a separate bowl, whisk together the egg and skim milk; mix into the potatoes. Season to taste with salt and pepper. Heat the olive oil in a large skillet over medium-high heat. Drop in the potato mixture, forming patties about 2 inches in diameter. Fry on both sides until golden brown, 3 to 4 minutes per side. Drain on a paper towel-lined plate. Serve warm. other ways to eat potato cakes…. Grilled and lashings of butter on them as a handy snack anytime of day. Fry them in the pan with your egg and bacon, the fat will add real taste to your breakfast. If you want to go all continental you can grill them, spread cheese on them with a little tomato and make yourself a mini pizza. Or just eat them cold, it is after all only potato! April 1st 2016, is as every business owner knows the day that the minimum pay you can pay a member of staff over the age of 25, is £7.20 per hour. This is an increase of 50p per hour for the lowest paid. Is the National Living Wage enforceable? Yes, this is an a legally enforceable minimum level of pay, which is promoted by the Living Wage Foundation. It existed before the NLW was announced. It is calculated by academics as the level of pay that would give workers sufficient for a basic standard of living. At the moment, that amount is £8.25 an hour, and £9.40 an hour in London. Everyone should paid a figure that let’s them live comfortably and rewards them for the hard work they do, however in an industry that is seeing bread prices reduced almost daily it could lead to job losses. I am not threatening this or advocating it but merely stating a fact. If the margin isn’t enough to balance the books then something has to go. Usually it’s the thing that costs the most i.e labour. But the problem doesn’t stop there as the job still has to be done and the bread still has to be delivered, so inevitably some bakers are going to close down, or downscale dramatically . Our business also has it’s own problems in that our drivers work on a job and finish basis, so for example some drivers earn their pay in only 30 hours work and get the same pay as a driver who has a bigger route, or further to travel and earns the same. Now that longer hours driver is going to get a substantial pay rise because he has to earn £7.20 now per hour rather than £6.70. We will probably have to reduce the hours of our driving staff by stopping daily deliveries to some of our customers who only buy a low volume. This will get the driver back earlier. Another idea is to stop the drivers chatting in the morning when they are loading up their vans and taking a long time to do this. We will have to make sure that they get loaded quicker, thus a saving on their hours. Still it all amounts to just some of the challenges that you face if you want to run your own business.